Many leaders give out certificates of participation at the end of the year to recognize kids for being part of the club. 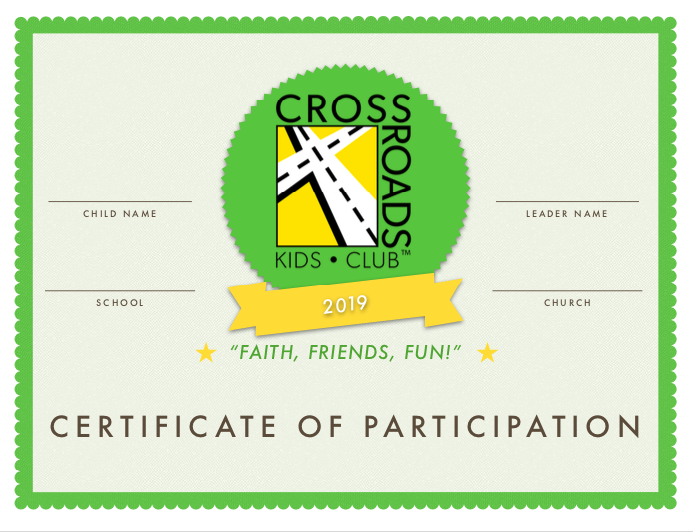 Here is a template with the Crossroads Kids Club® logo that can be printed on card stock. Click the link to access the PDF.